Honolulu Museum of Art » Go for the Gold! Home / Events / Family Sunday presented by Bank of Hawaii Foundation / Go for the Gold! The museum gets in the Olympic spirit! • Dance with ribbons: Kids can jump, tumble, and dance like the rhythm gymnasts from the Olympic games with colorful ribbon wands. • Make relief prints: Learn how to make colorful relief prints with members from the Honolulu Printmakers. • And the gold medal goes to: Kids can stand atop the winner’s podium and pose for a photo. • Arrive in style: Ride your bike to the museum and have members from the Hawaii Bicycling League park your bike at the Bike Valet. 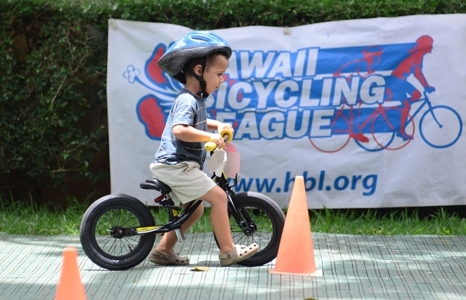 • Take a lap: Kids can try one of Kokua Bikes' different balance bikes and race around Central Courtyard. • Bike Quiz: Test your knowledge of different types of bicycles and see a few that will be featured at the Rio Olympic Games. Note: Kokua Bikes will bring balance trikes that are reserved for special needs children that are unable to operate the balance bikes. Take a shuttle bus to the museum’s free Family Day at Spalding House in Makiki Heights to participate in the rubber duckie race, and see the Plastic Fantastic? exhibition. Zip around the world with this baker’s dozen of high-energy, high-imagination animated shorts from the Children’s Film Festival Seattle 2016. 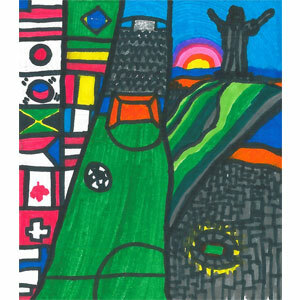 Congratulations to last month's winner: Jonathan Wawozny, age 11, of Honolulu.